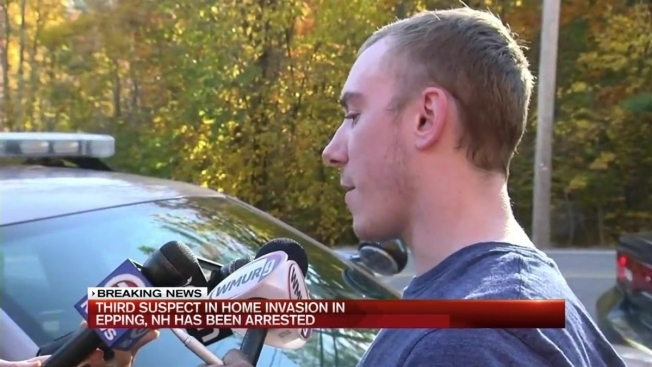 For nearly three hours, the town of Epping, New Hampshire was swarming with police officers searching for a suspect who was considered armed and dangerous. The suspect - identified as Raul Natanero - was apprehended just before 4 p.m. Epping Police said he and two other men broke into a home in the Lamprey Village neighborhood. An officer on routine patrol saw a suspicious car and interrupted the robbery in progress. That officer was able to arrest two of the suspects, but Natanero took off, armed with a 9mm handgun. For the duration of the search, schools were put into lockdown and area residents were urged to stay inside and lock their doors as heavily armed officers and SWAT members combed through the neighborhood. 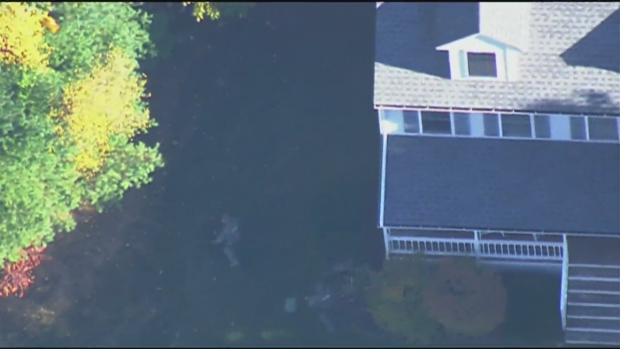 Helicopter footage of a police search for suspects of a home invasion in Epping, New Hampshire. The victim told necn that one of the suspects slammed him in the head with a gun, put him in a chokehold and pointed the gun at his face. He was eventually able to break free and ran outside. The victim is 21 years old and said he went to high school with one of the suspects but didn't know the other two. Police said the three men will be facing charges.